The process of growing grapes and preparing them for wine is a process we undertake with great care. 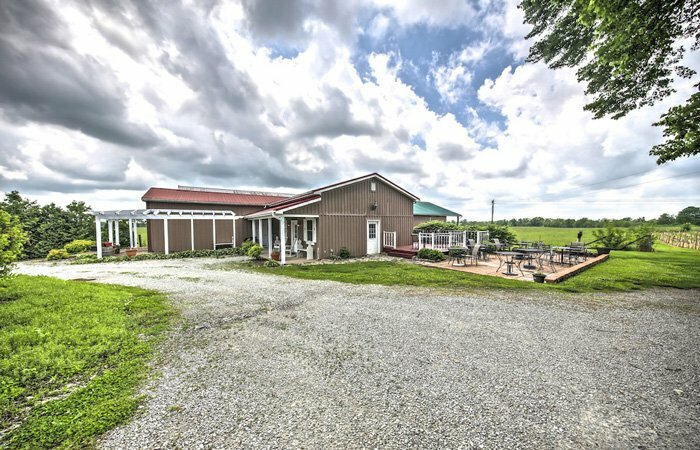 Our three-acre vineyard nestled in quiet Bloomfield, Kentucky - just outside historic Bardstown. Preparations begin early in the vineyard when workers arrive to carefully prune the vines for optimum yield and quality. It is vitally important to balance the yield so not to overproduce the fruit load and weaken the vines' health and quality. The Soil is tested for the correct balance of minerals and amended accordingly. The loamy soils here are rich in magnesium and limestone deposits. These nutrients combine with water and sunlight to contribute to the rich color and hearty flavors of our wines. Our white wines are very fruity with a great deal of body in the flavor and mouthfeel. Our varieties of wines include Cabernet Franc and Sauvignon, Chambourcin, and Chardonnay. 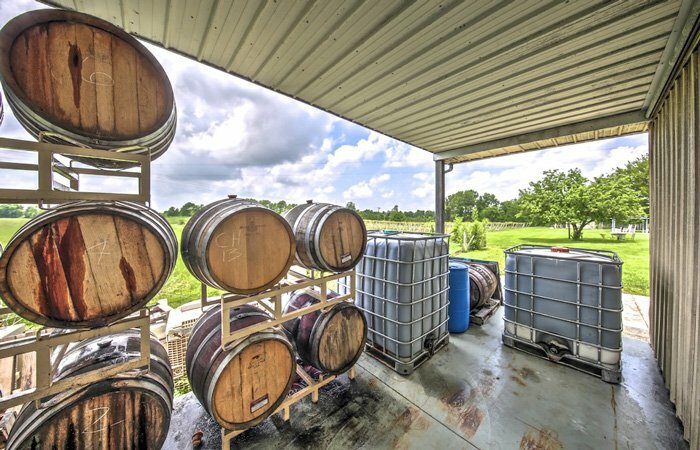 We have partnered with neighboring vineyards to provide other varieties of grapes for our many blended wines. Relax in a rocking chair in our gazebo with a glass of your favorite wine in hand as you gaze over the scenic vineyard. 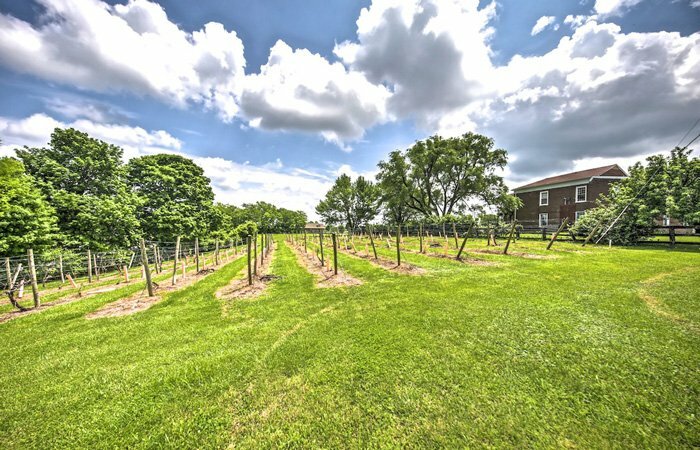 Stroll through the grounds early in the morning or enjoy a beautiful sunset surrounded by the grape vines. Come out in late Summer to watch our workers anxiously harvest the grapes for wine-making. Most wines are available for tasting on a daily basis. Download from the App Store the Kentucky Drink App,...its FREE!